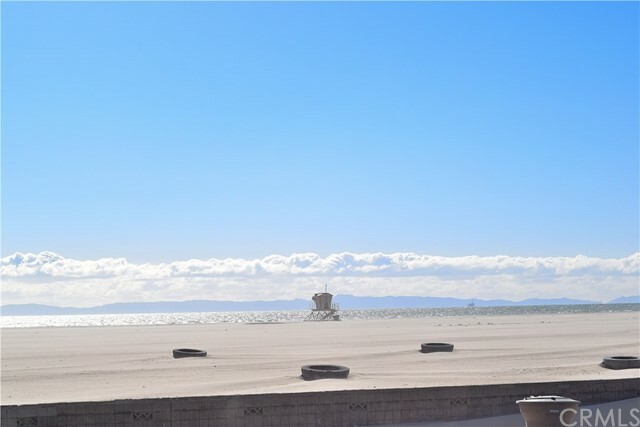 Breathtaking unobstructed panoramic views of Ocean and Catalina Island. Enjoy beautiful sunsets from your large backyard or massive upper deck. Steps to the beach and ocean to enjoy a refreshing or an epic surf session. Gorgeous remodeled kitchen designed with custom built-in raised panel cabinetry providing convenient pull-out shelving systems including large pantry storage, granite counter work tops and rich classic stone accented backsplash, the custom designed kitchen moved the Wolf gas range for the chef's enjoyment and entertainment and a large built-in refrigerator is perfect large families. The eat up breakfast bar and spacious kitchen nook separate the over sized family room providing for an open concept family living area. Beautiful custom matching built-ins with added storage cabinets add elegance to this classic interior design. Step into luxury through the rich leaded glass custom entry door onto extensive use of marble and travertine flooring. Step up to the second level and enjoy the custom wrought iron banister with a whimsical ocean flair and onto the solid mahogany hardwood flooring. The master suite has been expanded to create a his and hers walk-in closets a spacious vanity area with separate floating vanity and custom lighting. The over-sized jetted tub and open shower area with ocean views are a perfect place to relax. On a beautiful day enjoy a swim in your crystal blue pool and spa and have a barbecue while lounging by the outdoor fireplace.